Skip it. Fans of Robert Englund will be disappointed. It might be worth a single mercy viewing. I chose Inʞubus because of Robert Englund. I am a fan. Admittedly, I hadn’t heard of this one before and initially I could see why. It’s a really bad movie. Just speaking technically Inkubus is not good. The audio is hollow and flat. The dialogue is laughable. It’s a chore to get through. It’s like a worse version of End of Days. The movie starts with a strait-jacket clad Joey Fatone locked up in an insane asylum. Fatone is a former detective that has lost his mind due to his dealings with a demonic Incubus in a former case. He recounts his encounter with this evil force to the facilities psychiatrist. The cast aside from Robert Englund must have been recruited from the closest small-time acting school. I mean Joey Fatone and Jonathan Silverman. That’s right this movie boasts the second most famous member of NSync and Jonathan “Weekend at Burnies” Silverman. Where has that guy been? I hadn’t seen him since his sitcom days as The Single Guy. 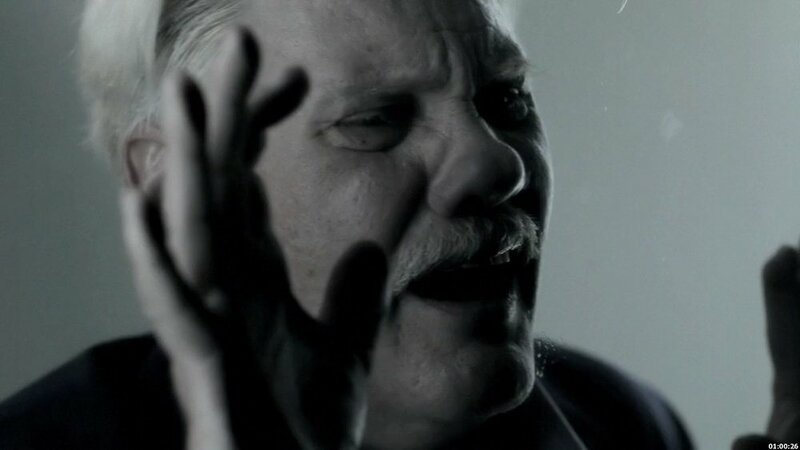 The movie also stars notorious over-actor William Forsythe. He does alright but it’s not enough to save the picture. Robert Englund is obviously the star or perhaps even the vessel that this flick was built around. The story is generic enough. Nothing special. The filmmakers obviously banked on the weight of Englund’s name in the horror community. There is a great deal of poor dialogue and pointless law jargon to really drive home the detective roles. I don’t really understand what’s scary about the movie. It doesn’t have much. Robert Englund showed up at a police station with a human head. That was pretty nifty. But still, it didn’t save the picture. The majority of the movie is spent in the police station. It’s boring. The “best” parts of this independent feature are regulated to the first few minutes and the last ten. That's almost like fifteen whole minutes of things happening and not just people telling you about them. Even the deaths in the movie are bland. The heart rate monitor/regulator scene is one that stands out the most. It’s just pitiful. They even used CGI smoke… I literally can’t even. The effect that offended me the least was an inanimate pile of intestines sitting on a jail cell bed. Robert Englund plays a centuries-old demonic force that goes by the name Inkubus. Not the phenomenal late-nineties alternative band. This Inkubus has the ability to warp reality, influence others and murder with Assassins Creed style wrist blades. This Inkubus has self-proclaimed to murder thousands of people in a lot of high profile unsolved murder investigations. Including Elizabeth Smart otherwise known as the Black Dahlia. Inkubus aslo has no problem showing off his powers. No matter how cheap. I cannot stand the muted tones that the director chose to go with. Its horrible. The camera work is shoddy at best. There is a scene where a man gets his spine ripped out and the picture blurs. Just a run of the mill blur. The word that best describes this movie overall is confusion. I don’t know what direction this movie wanted to go. I don’t understand where the filmmakers were going. I just didn’t understand anything about it. The movie is barely watchable and I think that is due to Englund being so good on screen. I wouldn’t suggest seeing this. Watch Sinister or Fallen those are much better films that feature a Demon.